Video Shows Virginia Tech Women's Lacrosse Team Chanting The N-Word; Coach Calls It "Teachable Moment"
A video of the Virginia Tech women’s lacrosse team chanting the N-word while singing “Freaky Friday” by Lil Dicky was a “teachable moment,” head coach John Sung told the told the Roanoke Times. The video—which appears to feature only white players—was recorded after last Saturday’s win over Elon and posted to Snapchat soon after. 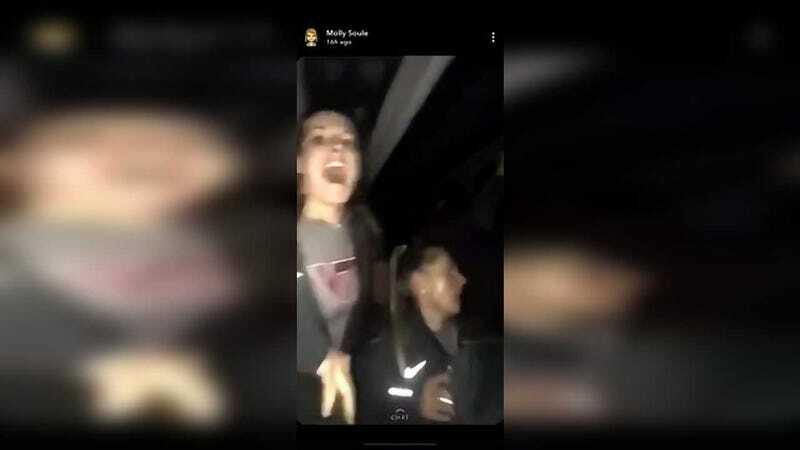 The video was initially shared on Snapchat by an account under the name of a junior on the team. It was uploaded to Youtube on Sunday, and Sung released a statement about the video and granted an interview to the Times on Monday. Missouri Athletic Director Says South Carolina Fans Spit On Women&apos;s Basketball Players, Used "The N-Word"